← Giving Fanny Fear the Finger – Part One! I Feel Rather Stupid – To Post Or Not To Post? Leading up to Castle Rising. The reason I feel stupid is that I travelled for just over two hours by car to Castle Rising in Norfolk and spent less than twenty minutes in the castle itself. Before we go any further, I have to state that Castle Rising is a wonderful place to visit and I would certainly recommend it to anybody. So, if indeed it is such a good spot to visit, why did I only spend twenty minutes in the castle itself? I believe I have a bit of explaining to do. At the moment, I am working on a supernatural novel set in Victorian times called Mulgrave Castle. I have been working on this, on and off, for a number of years. At one point, I actually got rid of the supernatural element and decided to have it as a detective story. The reason for this was that whilst writing it, strange things happened and it spooked me. I have had a number of supernatural experiences in the past and I find them hard to believe and on occasions have been frightened, I am a sceptic but know what I have seen, heard and felt. 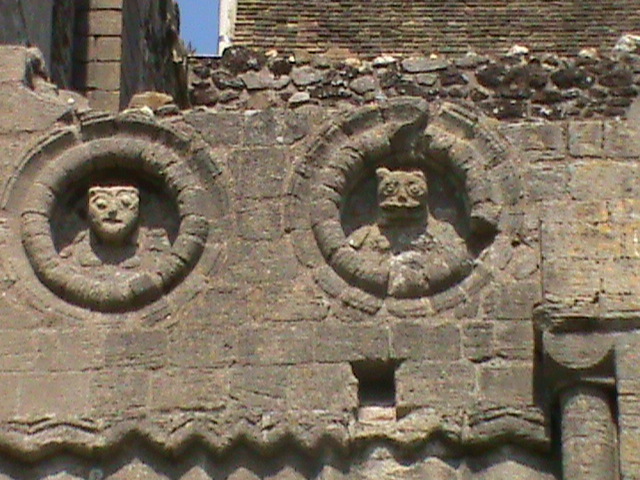 A short while ago, when I decided to go back to working on Mulgrave Castle, I decided that it would be what it had set out to be – a supernatural story. I resolved that instead of cowardly hiding from the supernatural world, I would do lots of research and find out more instead of closing it firmly out. This is how I ended up at Castle Rising. At the same time, my son and I have been doing a lot of family history. This has brought up some surprises which makes me question why I am sensitive to supernatural experiences even though I have always tried to block them out. Whilst looking up family history in Lancashire, I stumbled upon MJ Wayland’s (author, paranormal explorer and relic hunter) website www.mywayland.com In one post, he writes about the most haunted families in Lancashire. As I read the names the Singletons, the Osbaldestons and the Southworths – I realised that I am descended from all these families. I will explain further on why I am mentioning these three families. Further research discovered that Isabella of France is my 21st great grandmother, for those who are not au fait with her, she is otherwise known as She Wolf for allegedly being involved in the murder of her husband, Edward II. 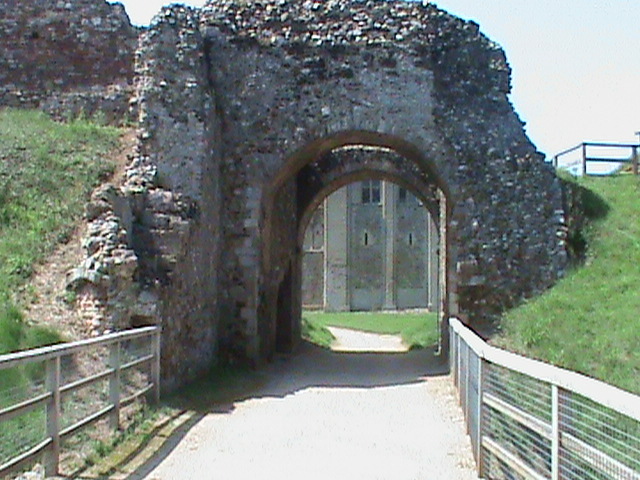 Castle Rising in Norfolk is where Isabella was under house arrest for many years. It has been said that she haunts the castle and people have heard her hysterical laughter. The genealogical line which I followed to get from myself to Isabella involves the families Singleton, Osbaldeston and Southworth from Lancashire. Are certain genealogical lines more susceptible to hauntings than others? As we love visiting castles, we decided to go to visit Castle Rising. I have to point out that I sincerely did not want the story of Isabella laughing hysterically to be true. Ancestor or not, the thought of souls who cannot rest in peace leaves me feeling desolate. I wanted to visit the castle and enjoy it purely for its history minus any supernatural incidents. So not only am I a sceptic who needs proof of supernatural phenomena, I also think deeply about what some of these stories actually mean if they are true. Do these creatures guard Castle Rising? So we arrived at Castle Rising and had a very civilised picnic in the grass covered car park and used the exceptionally clean and well looked after lavatories. After putting away our chairs and picnic basket, we sauntered down to the castle. We decided to walk where the battlements would have been first to take in the magnificent views of the surrounding countryside. After a few minutes, I started to feel unsure of my footing even though I had no need to. We left the battlements and went into the castle. By the time I had climbed the first lot of steps, I felt decidedly ill. I felt so hot my head was pounding and I felt as if I had a huge lump of something in my right ear. It was a hot day but we were in the cool darkness of the castle. I complained about how hot I was and my son said that I was standing in what was once the fireplace. I hadn’t realised as I felt too uncomfortable to read any information signs. I was trying desperately to feel well as I didn’t want to spoil the visit for the rest of the party. I looked out and saw a bridge and I heard myself saying that I could not go across the bridge; no one could make me go across the bridge. I was aware that I sounded like a petulant child but at that point fear was a stronger emotion than shame. My family asked if I wanted to leave as I looked on the verge of having a palpitation attack. We hurriedly made our exit. Within minutes of getting into the car, I was well again. My son asked me why I was so afraid of going across the bridge. I told him that at that point, I knew that if I went on that bridge, it would collapse underneath me. He said that the floor had collapsed around that area in the 16th century. I had been too unwell to read the wall plaques when I was in there. The suggestion could be that my eye maybe had quickly skimmed it or I had read about it and not remembered. The only problem with that theory is that I did not do much reading about the castle before I went to it once I had read about Isabella supposedly haunting it as I did not want any suggestions of anything which have happened implanting itself in my brain. The other problem with the theory that I might have briefly seen the wall plaque or read about the floor collapsing was that I was truly petrified and I have been to many places where things have happened but they didn’t have that effect upon me. Nobody would drive all that way on a family day and leave so quickly if not made to do so. A way to make a quick exit. Also, it left me feeling really stupid, it has taken me almost two weeks to write about it – in fact, I almost didn’t write about it because it seems too silly for words. I will be going back; firstly, I am so annoyed with myself because none of us got to really see it and explore. Luckily, my son had the sense to get some quick photographs before we left. The other reason I will return is my curiosity – will I be able to overcome my fear of what looks like a perfectly safe bridge? I think I would have snatched the camera and jumped on it as I appear daft enough at times without being seen looking totally demented. No, I haven’t been to Tattershall Castle – I shall look it up. Thanks for the tip. You poor thing, what a scary experience! You must go back, otherwise this will haunt your thoughts for a long time to come. Perhaps I should go with you…I scare even the most determined ghosts away, grrrrr. Spooky day out, hope you’re feeling better now. It was scary but it was also the feeling utterly and completely stupid bit which made it worse. How do you handle weird atmospheres? I shall push you in front and you can deal with the lot of them. That’s the spirit! My garlic breath will teach ’em! You just keep clutching the holy water and if Will calls Ghost Busters we’ll be fine. Ha Ha – love the pun – that’s the spirit! So we eat loads of garlic, call Ghost Busters and take buckets of holy water to throw over them – then what do we do? Then we tackle your fears of your dead relatives. Just imagine those ghostly aunts and uncles in their ancient underwear:), they’ll be far less scary. What are you trying to do to me? You’ve conjured up smells from those days – you know how I’ve been trying to get that out of my system by writing about it with stinky Thadeus. Right, I’m back on track – we go in with huge bottles of eau de toilette, close our eyes and spray for Europe. What next? Communication is everything! What do they want from you? You can’t have harmed them, since you weren’t alive at the time, so they must have a message or errant for you. Perhaps they want you to dig up a lost heirloom. Ghosties don’t have to be about something horrible, you know. You know, I can’t believe how perceptive you are. 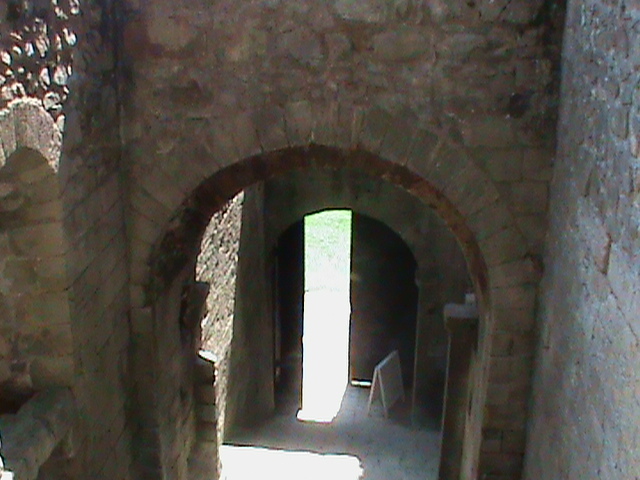 You haven’t heard this bit yet – I started writing Mulgrave Castle quite a few years ago. The name just came into my head and I loved it. I was then told that there was a real Mulgrave Castle and we had a family journey up there. We went up through the woods to the ruin and it was a glorious day. We all loved it and felt unbelievably happy there. So that was that. I started work back on it, last week. Also last week, through the family tree thing we found out that our family lived at Mulgrave Castle in the 1200s and were called De Twenge (sometimes referred to as Twine) That really spooked me – because of Harriet Twine. WOW! Did you ever see the Who do you think you are episode with Jeremy Irons? He stated at the start of the program that he’d always felt a natural affinity with Ireland (he’s married to an Irish lady) and with places by the sea…turns out his roots are in Ireland and his ancestors all lived by the sea! I’m sure there’s something in our genes that does remember bits through the centuries, which is why we sometimes get a deja vu experience…only it wasn’t us who visited a place or something has happened to, it was one of our ancestors. De Twenge, sounds almost Dutch…hey little Twiglet! Yes, I did see the Jeremy Irons one, I really enjoyed it. Yes, I agree with you – I think that there is something in our genes which has a memory – I would like to know more about this. I’m glad that you at least tried, and that you posted! Real or unreal, supernatural experiences are fascinating stuff. Thanks. It is difficult to talk about such things. I think as well that when we go to places which have known stories, for instance, Isabella laughing hysterically – we are ready for maybe that one thing to happen. When something completely and utterly different happens, it catches us unguarded – that’s why I will eventually go back – to see what happens when I am prepared for it. Oh my word Michelle, I don’t know whether to envy you or feel sympathy for you. I know I’m being terribly insensitive but I think it’s most likely the former! Oh it’s so nice to hear from you and thank you for the lovely comment. I don’t know if having supernatural experiences would put you off, it might actually do the opposite and spur you on to investigate further. I think it all depends on the individual and the actual experiences. I’m at a point now where when I look back to the bad experiences, I realise that a soul is suffering and I have to wonder why no-one is doing anything about it. A holiday home we rented about seven years ago in Northern Spain was full of Christian (I think Roman Catholic)icons in every room. The house not only had a most ominous atmosphere but it had actual hauntings – it was dreadful. We all heard the growls and wails. At the time and really up until recently, all I could think of was the fear which I suffered from. Now, however, I wonder why people who know about these things are not helping the trapped souls. I believe that all inanimate objects have the ability to retain energy, both positive and negative, and some of us are more receptive to the energy than others. You just happen to be one of the more receptive ones. Hello Monica, lovely to hear from you – yes, I think that you are right. I do find things like this most fascinating.